Our premium womens garment hangers are made with a thick padding of cotton batting and covered in tufted satin. These luxury clothing hangers make a perfect match for delicate blouses, dresses, evening wear and lingerie. Our satin clothes hangers are used in the world's finest apparel shops, fashion boutiques, nationwide department stores and hotels. 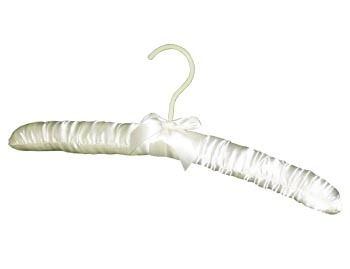 In addition to our bulk padded hanger orders, we offer Custom Satin and Wholesale Padded Hangers.